The technology-driven culture of business today depends on reliable IT systems. Businesses, both large and smaller, require custom solutions and quick response times from professional and easy to work with IT service companies. Larger organizations have the funds and manpower to achieve the support a network requires, but what about smaller to medium-sized businesses? Too often, these companies rely on part-time or understaffed IT departments or inconsistent, break-fix contractors. Either of these options run the risk of losing productivity and facing costly downtime. SOS’s NetVantage Atlanta Managed IT Services -headquartered conveniently in metro-Atlanta, GA - go far beyond your standard break-fix solution. Instead, we can serve as a strategic IT support partner for your business. We offer Fortune 500-level resources without straining your budget. Whether you have one or several locations, you focus on managing and growing your business while we take care of your network's infrastructure. Managed IT Services are information technology services provided by third-party organizations. Third-party IT support operations can be as simple as a part-time individual located in a single home office, to as large as a major conglomerate with thousands of employees across multiple locations. Companies leverage managed service providers (MSPs) as a more efficient alternative to a large internal IT staff. Depending on the MSP selected, companies have the ability to gain a team of knowledgeable experts, ironclad network security, and support that never calls in sick or goes on vacation. This can often be achieved for less than the price of a single internal IT specialist. It is no longer a question of if you should leverage managed IT services, but to what degree. More and more companies are being attacked by hackers each day and we are discovering that the vast majority of these targets are small to medium-sizes businesses. This is because cyber criminals are finding it easier to infiltrate the network's of smaller organizations. This report by the FBI on cybersecurity threats shows that an average of 4,000 businesses experience a cybersecurity breach each day. It is easy to feel like you are adequately covered, until you are not. 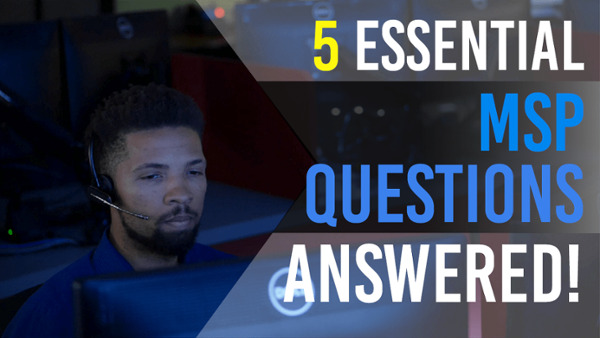 A 24/7 IT support help desk is essential to ensuring that your business can receive support whenever it is needed. This service allows business owners to sleep easy with the knowledge that support is a simple phone call or chat away, and it will never go on vacation or get sick. SOS offers terrific in-house help desk support in our Network Operations Center. Businesses with an internal IT specialist may find great value in investing in onsite support, but with technology and the threats to it changing so rapidly, it is improbably for a single internal specialist to keep up. A team of experts can do this more efficiently, ensuring that your network remains effective against the challenges of today's hyper-connected world. In addition to exceptional support, SOS offers features that proactively monitor your network's systems, including the ability to leverage a virtual server to keep your network operational, even if your onsite server is experiencing downtime. With remote monitoring, SOS can proactively fix nearly 90% of a company's network issues, remotely. This means that a company's network is up and running faster, or better still, never notices any issues in network performance. SOS can keep your computers, mobile devices, servers and software in working order with network monitoring. The convenience of our virtual server allows your business to stay up and running if your server experiences downtime, making it so your customers and employees are never inconvenienced. Learn more about our managed IT service offerings like our 24/7 help desk support, remote monitoring, and virtual-CIO. Protect your business from online threats as we proactively manage activity on your network through online backup, disaster recovery, and spam, firewall, and antivirus protection. You can take advantage of SOS’s available business phone systems and VoIP products to optimize your communication solution. Collaborate with other more easily while saving money in the process through Unified Communications. 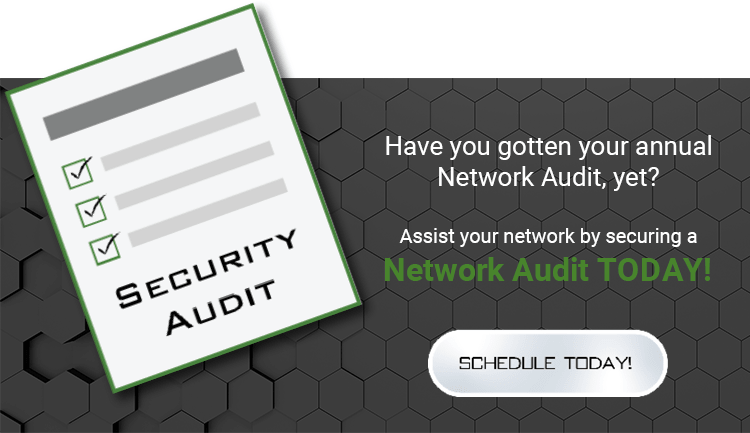 Learn More: What is a Network Security Audit?